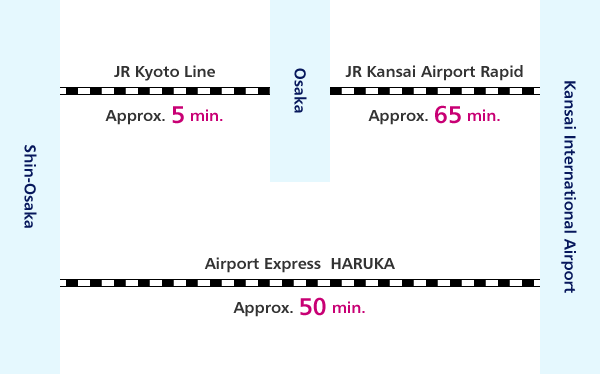 Kansai International Airport is situated 50 km from the center of Osaka city. It is easily accessible by road, railway and high-speed ferry. 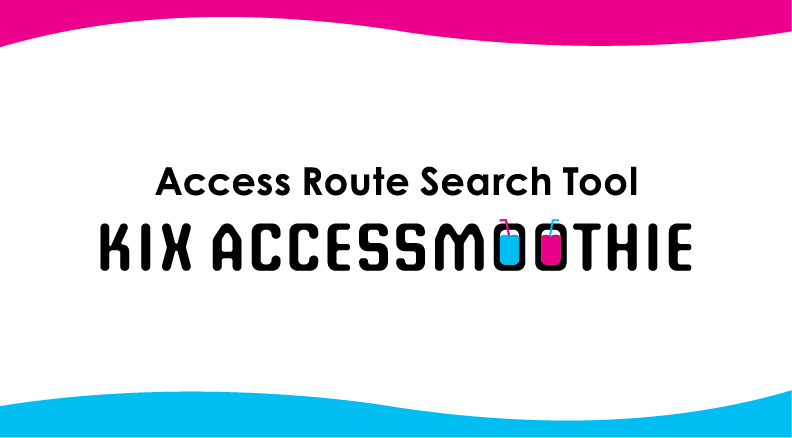 Smoother Access Search to/from KIX! 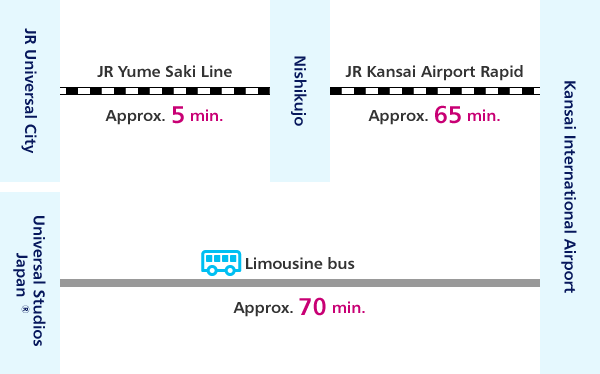 KIX ACCESSMOOTHIE helps you plan a route to your destination from Kansai International Airport, or obtain directions for getting to the airport, by train, ferry, bus, taxi, etc. 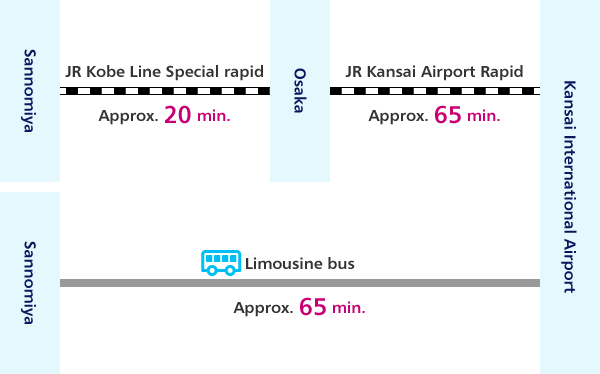 You can check routes, departure and arrival times and fares; enter and search for stations, hotels, tourist spots and other places you want to visit; and also select destinations from a list of major stations, hotels and facilities. 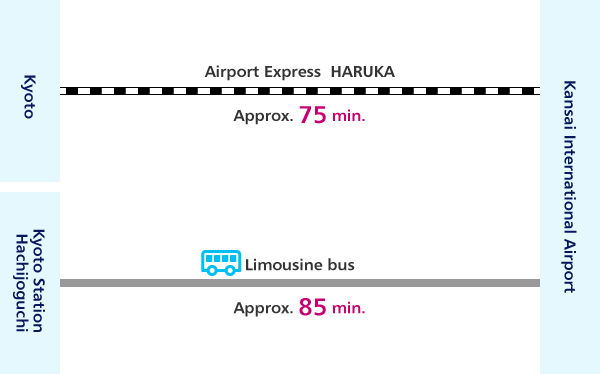 Search results suggest the most suitable travel option by train, ferry or bus. 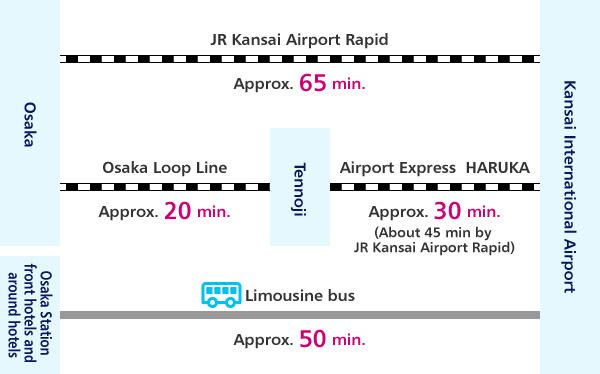 This tool provides a plain and simple guide to routes and connections between KIX ,ITAMI, and KOBE airports. KIX ACCESSMOOTHIE is indispensable when traveling for business or pleasure. 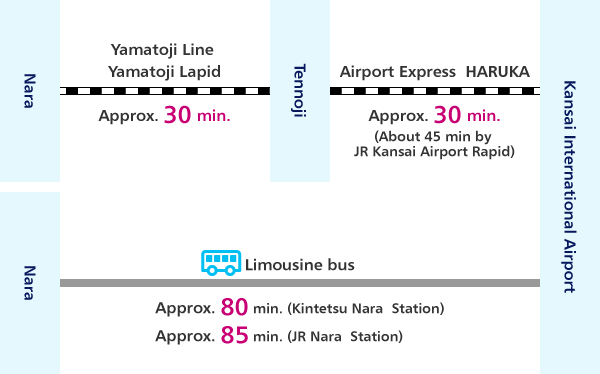 Ground transportation tickets are available at KANSAI TOURIST INFORMATION CENTER in the airport. * The bridge is for passenger cars only, pedestrians, bicycles, compact motorcycles (less than or equal to 125cc displacement), motorcycles with trailers, etc. are prohibited by Japanese Law. 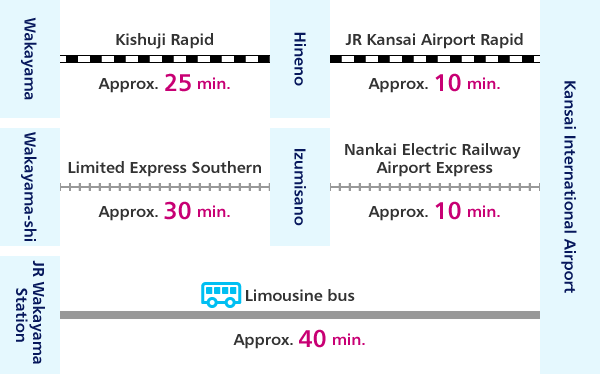 Using the following websites, you can find train routes/times for getting to Kansai International Airport. 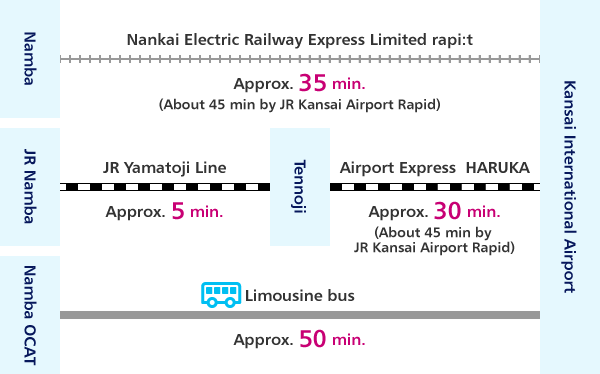 Please enter "Kansai International Airport" and "Kansai Airport" in the websites. * Times are guidelines only and do not include transfer time.